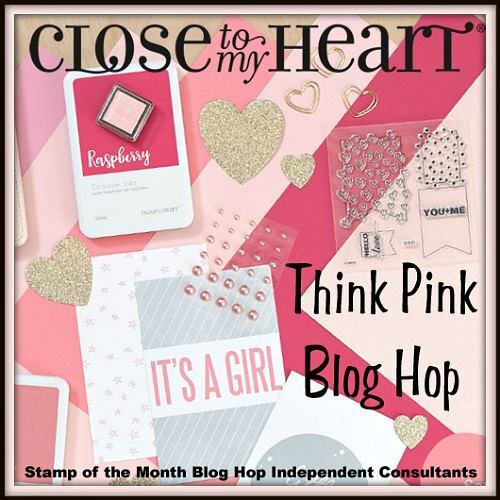 This month, Close to My Heart is offering up to 30% off of selected Pink & Gold products!! So our blog hoppers are hosting a special Think Pink Blog hop! This hop will features PINK creations! Anything pink goes.... 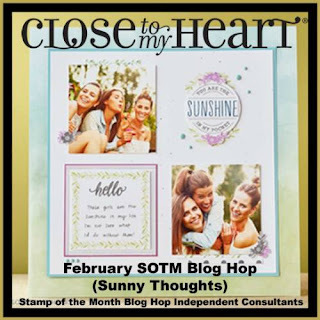 If you came here from Brandi Robinson's blog you are on the right track! The hop is a big circle so if you have just started, when you get back to me you will know you completed the hop! 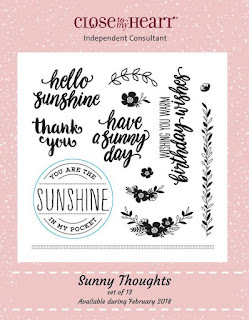 I needed to create a Birthday card so I decided to use products featured in the Pretty in Pink special! 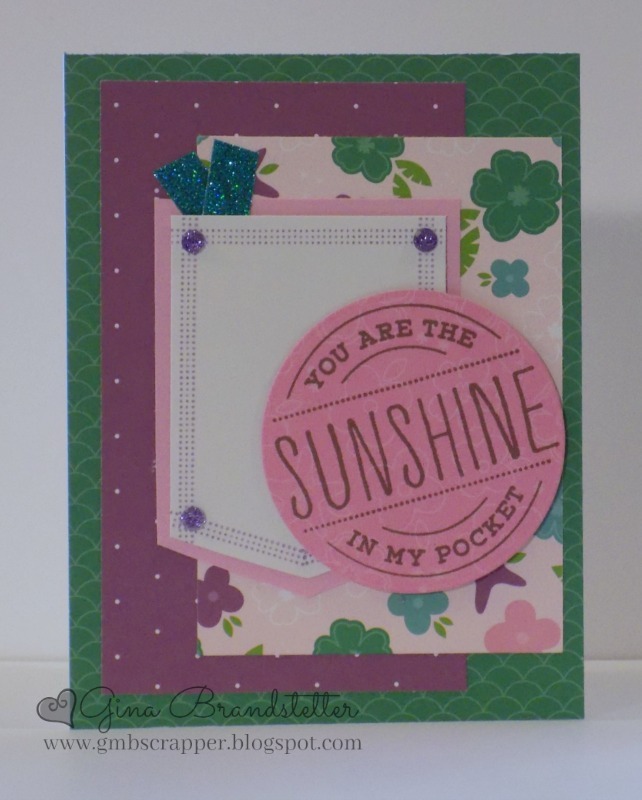 This card is pattern #12 from the Make It From Your Heart Vol 4. I used the February Stamp of the Month - Sunny Thoughts for my sentiment. It doesn't really show up here but I used Raspberry pigment ink to stamp "birthday wishes" and then heat embossed Clear Embossing Powder on it for a shiny effect. 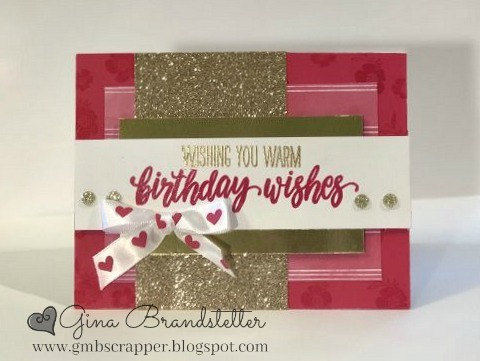 "Wishing You Warm" was heat embossed with Gold embossing powder. I random stamped a little flower with Raspberry ink onto the Raspberry Cardstock. 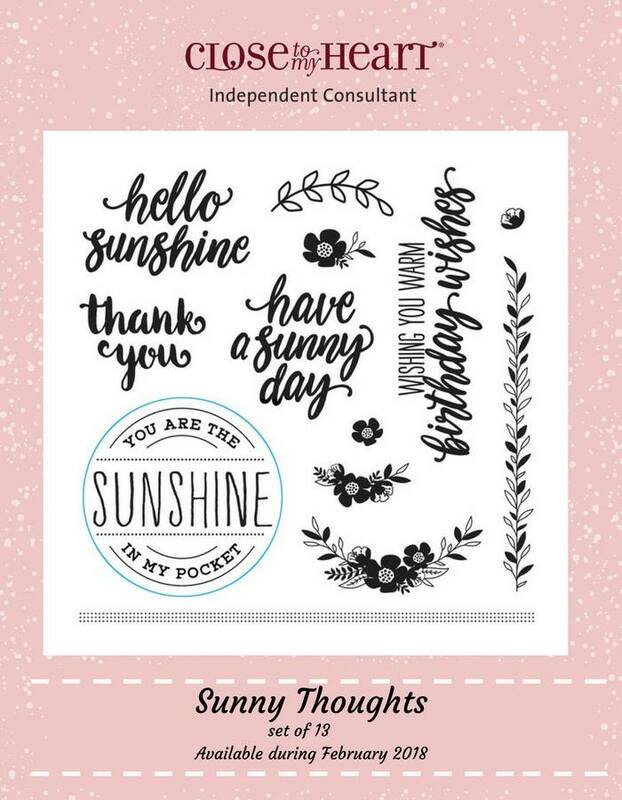 Here is a complete list of products used. Items with a "*" and highlighted RED are discounted in our Pretty In Pink February special! Now it is time to hop over to Miss. Carrie's Creations blog and see what PINK things she has in store for us! !